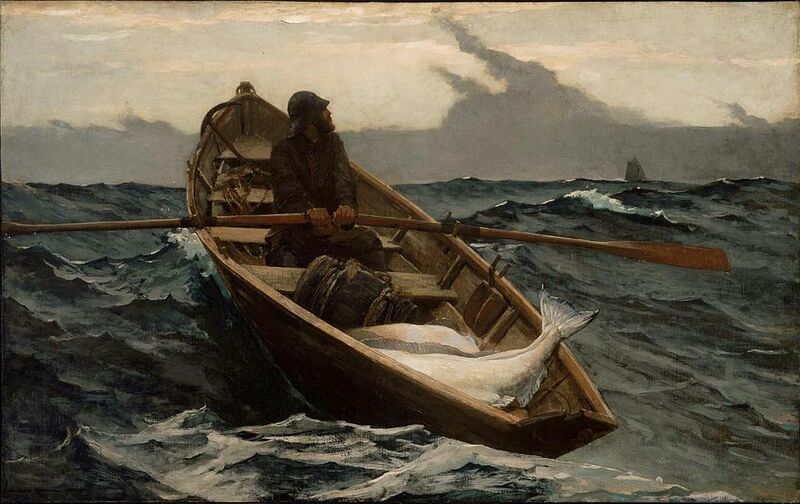 The Fog Warning, Halibut Fishing, Winslow Homer, 1885. Tea, porridge, cottage we remained. Raw bones wrapt by sea-tattered rags. Asunder, mariners lost to murky depths. Not how, relieve their anguished pains. 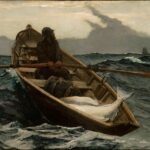 Leading, briny dead still beckoning. Alas! Of tea, warming fires, cold to my bones. Written on rainy night, thanks for reading.